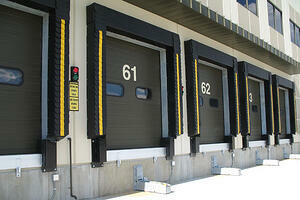 The loading dock is an often-neglected cash leak for manufacturers. Shipment delays, poor labeling and confusing packaging can severely slow production and cut your profitability. Take a hint from retailers: Set up a standardized vendor compliance program. Itemizing products and quantities before they arrive with advanced shipping notices. Demanding that deliveries are made on the day and at the time specified on the order. Sticking a packing slip on the lead carton. Packing products in cartons and on pallets that fit storage racks. Shrink-wrapping and packing on pallets of all cartons above a certain number or weight. Retailers don't stop there. They also impose fees for shipping violations on the grounds that they incur costs when a vendor fails to meet standards or deliver as promised. For example, one retailer charges $100 for shipping by the wrong carrier, plus the freight differential. Standardizing the spot on cartons and pallets where labels are applied. Conforming all the data on labels. You may find room for improvement on your labels. General Motors, for example, developed the 1724a label, which uses a PDF-418 symbol to encode the part number, quantity, carton weight, distribution and handling data, and shipment information as well as a serialized container license number. The license number lets staff track contents back to the production line. Once you've established your needs, present your program to your vendors. Some negotiation is inevitable, particularly if you're asking them to make changes. Then, set up a trial period to evaluate how well the program works and what adjustments might be needed. The trial period also gives vendors time to get up to speed. Clear the docking area quicker. Maximize your use of storage space. Cut the time it takes to get materials onto the production line. Contact us for other suggestions for putting a program into place that can strengthen your bottom line. Two members of our Manufacturing Team are Lean Six Sigma certified and can offer tips on improving efficiencies and reducing costs. Contact us for more information.